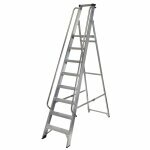 Features a large platform and twin safety handrails grips for increased support and safety whilst climbing. 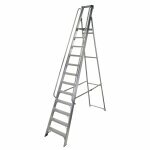 Approved to the latest EN131 standard. For Professional Use. 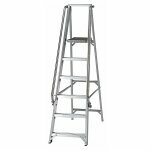 The Werner 708 Series 12 tread Shop Step features a large platform and twin safety handrails grips for increased support and safety whilst climbing. 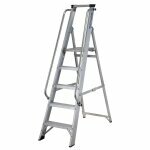 With heavy duty box section stiles, smooth edge caps, rear frame cross tubes and large slip-resistant feet, this ladder is ideal for working in retail or commercial environments. 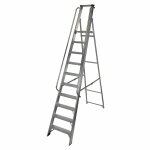 Approved to the latest EN131 standard. 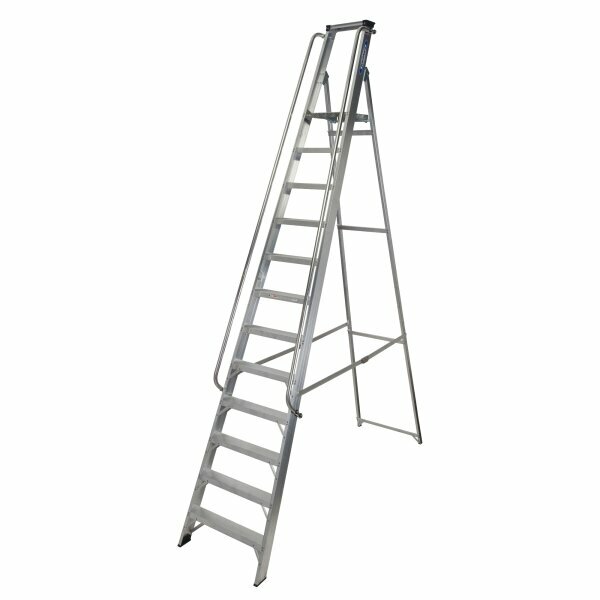 For Professional Use.